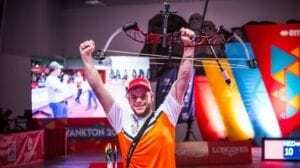 This year, the World Cup finals recurve competition are influenced by why at first glance may seem like a strange and inexplicable factor. 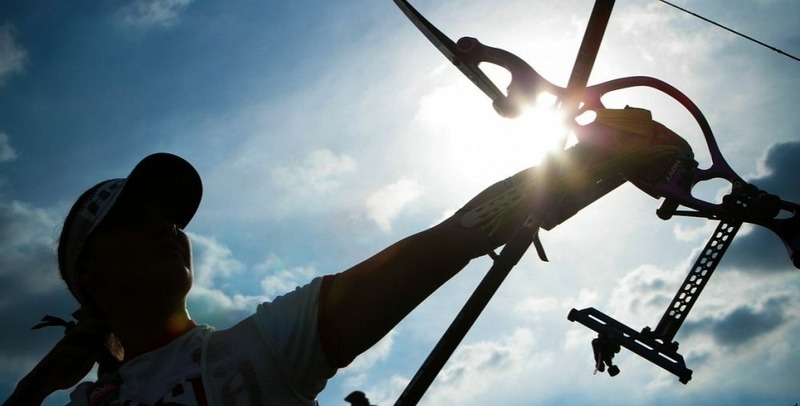 Korea has given up one slot in each recurve category, in order to fully prepare for the Asian Games starting later this month. The Asian Games are an extremely important event in the host nation and the uber-conservtive Korean coaching staff wants to take no chances. Count ourselves lucky- Korea was originally planning not to let any of their qualifiers shoot the event because of Asian Games prep work. Men’s recurve: As things stand, Olympic Champion OH, Jinhyek is in the finals, and will be defending his 2013 title. OH was a little off form at the Asian Grand Prix in Chinese Taipei in late July, but can be expected to peak at Lausanne- he often rises to the occasion away from home. Rick van der Ven, fourth at the London Games, can’t be counted out. And French archer Pierre Plihon has shown tremendous potential. My take: OH, in close matches. Women’s recurve: JUNG Dasomi, Korea’s sole female entry for the event, has not been as confident as usual and may be vulnerable to challengers who can establish an early lead in set play. Count on Elena RICHTER of Germany or teammate Lisa UNRUH to figure decisively in the final. Compound men: The French power duo of PJ Deloche and Sebasiten Peineau started the year with a bang and haven’t looked back. With Korea giving up their slot, it looks like clear sailing for one of the two- but Reo Wilde may have something to say about that. Experience breeds confidence and Reo has been working hard to prepare for this event. Compound women: Watch for the South American connection to grab glory in Lausanne. Alejandra Usquiano and Sara Lopez have been sensational and they have momentum and confidence. American Erika JONES has the experience and mindset to take the podium as well. But expect a surprise performance from Clementine De Guili, the Swiss wild card entry, if she can beat the pressure.